It's comforting to know that whenever you go to your local bar, you're going to find the beer you love on the menu. However, sometimes we do travel outside of the bounds of our hometowns, and though we're definitely still going to be drinking beer wherever we go, we're not always going to find Old Faithful. 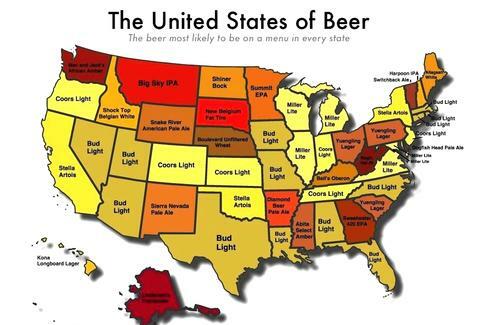 To prepare you for what to expect, data-crawling service Priceonomics analyzed the beer listings at 6,000 bars and restaurants across the country and put together this comprehensive map of the beers you're most likely to find on the menu in each state. 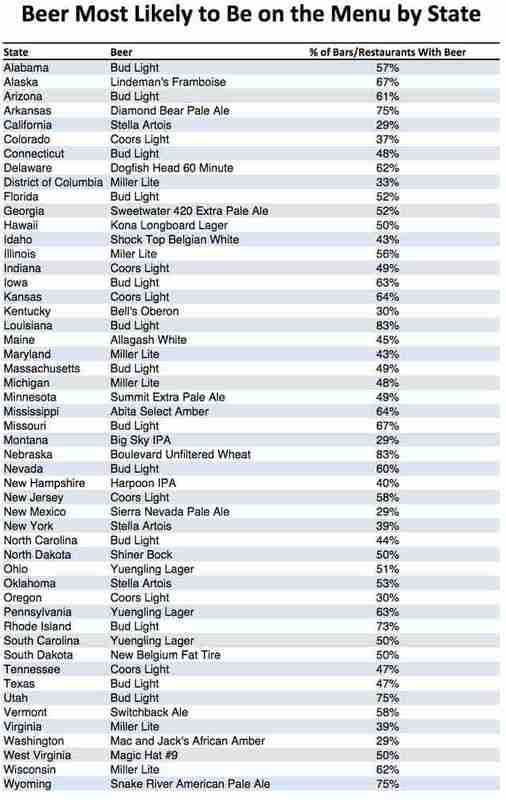 You'll notice that macros like Bud Light, Coors Light, and Miller Lite still dominate the country's beer menus, but this is not the case across the board -- for instance, in Minnesota you'll see Summit EPA as the main beer on offer, and in Arkansas, Diamond Bear pale ale. Of course, the most available beer in Delaware is Dogfish Head.